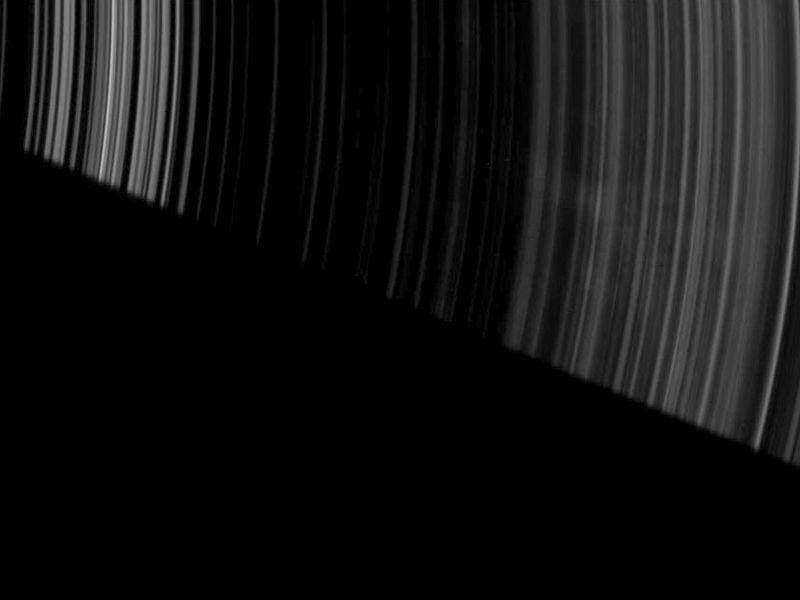 Faint, ghostly spokes dapple the dark side of Saturn's A ring as the planet's shadow makes a sharp diagonal cut across this image from the Cassini spacecraft. The image was taken in visible light with the Cassini spacecraft wide-angle camera on April 30, 2008. 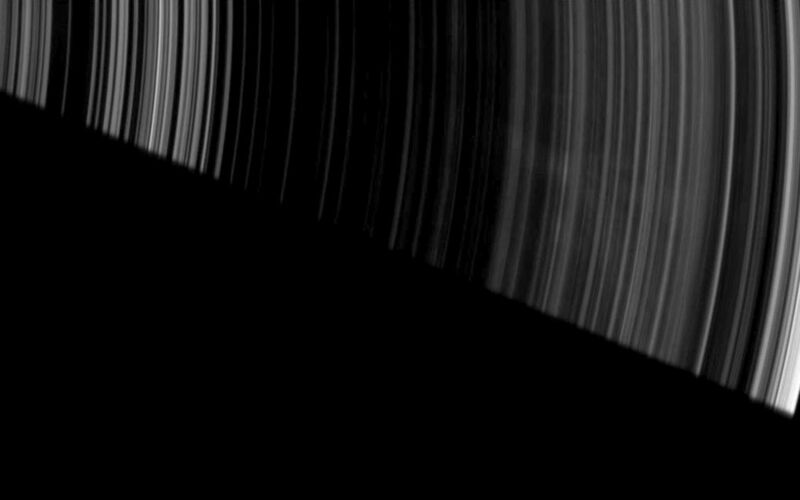 This view looks toward the unilluminated side of the rings from about 26 degrees above the ringplane. 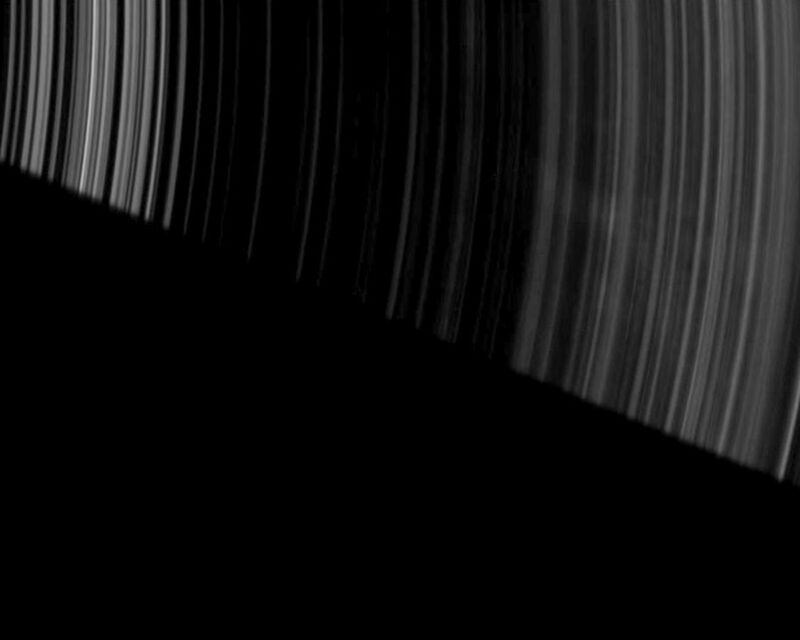 The view was obtained at a distance of approximately 316,000 kilometers (196,000 miles) from Saturn and at a Sun-Saturn-spacecraft, or phase, angle of 147 degrees. Image scale is 15 kilometers (9 miles) per pixel.